Many of the products we use everyday such as plastic kitchen cutting boards, toothpaste, and outdoor clothing are formulated or treated with pesticides designed to control microbial growth and maintain product performance. Pesticides are beneficial for everyday products and help keep certain industrial processes free from the accumulation of microbial growth. Relying on our extensive toxicological and risk assessment expertise and regulatory experience, Gradient has assisted clients with numerous scientific issues associated with the re-registration and use of pesticides. We quantify the potential health risks of pesticides in foods with respect to requirements under the Food Quality Protection Act (FQPA), design and oversee studies to evaluate exposures associated with pesticide applications and use of products containing pesticides, evaluate the fate and transport of pesticides in the environment, and assess the potential ecological risks of pesticide exposure. Dubé, E; Beck, B; Petito Boyce, C; Lewandowski, T; Schettler, S. 2004. “Assessment of potential human health risks from arsenic in CCA-treated wood”. Hum. Ecol. Risk Assess. 10:1019-1067. Goodman, JE; Prueitt, RL; Rhomberg, LR. 2013. 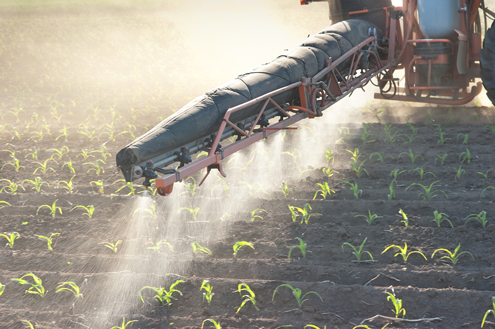 "Incorporating Low-Dose Epidemiology Data in a Chlorpyrifos Risk Assessment." Dose Response 11(2):207-219. Gradient reviewed the available scientific data related to the development of metabolic capacity in children for a particular pesticide to determine whether an additional safety factor (i.e., FQPA factor) should be applied in developing a reference dose (RfD). Gradient designed and oversaw exposure studies to measure the amount of chromated copper arsenate (CCA) residue on the hands of adult volunteers who touched CCA-treated wood and to quantify the bioavailability of dislodgeable arsenic from treated wood surfaces. We applied these data in a comprehensive human health risk assessment of the potential risks from exposures associated with the use of CCA-treated wood. Gradient developed a risk-based discharge limit for the pesticide methoprene at a wastewater treatment plant using a post-discharge dispersion model and current knowledge of methoprene toxicity. The limit was developed to achieve effective insect control while remaining protective of the receiving water environment. Gradient reviewed US EPA's preliminary human health risk assessment of chlorpyrifos. Our comments focused on approaches to conduct a comprehensive weight-of-evidence analysis of the available human, experimental animal, and mechanistic data for hazard identification.